Helen is a teenage orphan, and she needs consoling. She uses one of her three passes for the year to take her friend Milena and visit her consoler, a woman in the town near the boarding school where Helen lives with other orphaned girls. If the two girls do not return in three hours, a classmate will be placed in “The Sky,” a dark solitary confinement cell, until they return. 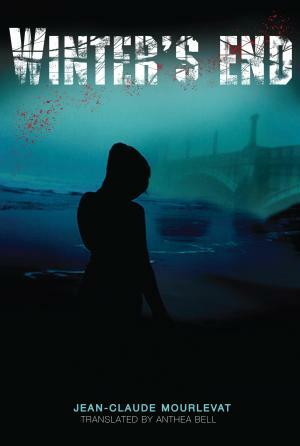 Winter’s End by Jean-Claude Mourlevat is a dystopian YA novel translated from the French by Anthea Bell. The story focuses on four orphans who are confined to a boarding school. They know next to nothing of the outside world, until the events of the early chapters of the book. They soon find themselves in a world of vicious dog men, trustworthy horse men, and gladiatorial fights to the death. The Phalange, the government that oversees this world, has deliberately kept the orphans confined, for reasons that become clear as the novel goes on. The best dystopian fiction shines a light on our current conditions. It gives us a reason to think twice about scientific advances, political movements, and mass media trends. Winter’s End includes some interesting elements having to do with how totalitarian regimes gain power by appearing better than the alternative and maintain power by silencing the strong and instilling fear in everyone else. The fights to the death for a mass audience are one of their means of control—these also happen to echo the reality television trend. I would have appreciated a bit more back story on how the regime came to be and how the gladiatorial bouts tied in with their rise to power, but that might have been too much for a YA novel. Still, without that context, it’s hard to see the roots of this society in our own. One can imagine how a movement might gain power by appealing to people’s baser instincts and also how treating people as mere objects of entertainment devalues them as people. But the topic isn’t fully explored, and it might be especially hard for teenage readers, especially those who are new to dystopian fiction, to see what, if anything, the author is getting at. So the political elements were interesting, but treated a bit shallowly; other elements, particularly the dog men and the horse men, seemed thrown in. The dog men are genetically engineered and clearly aren’t human; the horse men, on the other hand, appear to be human, but it’s never entirely clear whether they are a tribe of humans or a slightly different species. So with the dog men you have a comment about genetic engineering, a topic that is never tied in to anything else about this world; and with the horse men you have . . . something. A statement about how natural evolution is preferable to genetic manipulation? Or about how people who are different are mistreated? Are we even supposed to be contrasting the horse men with the dog men? If not, why have two groups of people/animals? As a dystopia, Winter’s End is a mixed success. It raised a few red flags worth raising, but it didn’t frighten me the way good dystopias do. (I’m thinking of The Handmaid’s Tale, The Unit, or such classics as 1984 and Brave New World.) It’s more successful as a thriller. The characters are likable, and I rooted for them all the way. The plot took several unexpected turns, and I stayed interested throughout. I was not necessarily interested enough to stay up late reading, but when I was reading, I enjoyed myself. 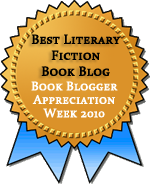 This entry was posted in Children's / YA Lit, Speculative Fiction and tagged Review Copy. Bookmark the permalink. I’ve been looking for YA stuff in translation and finding more and more thesedays. I think, even with your reservations, I may give this one a try. And, I should look up Yevgeny Zamyatin as well. How is the translation? I often have a hard time with translated works, though French ones tend to be best for me. I always love me some dystopian fiction, but I think you know I’m not really a big YA reader (I have nothing against the genre, I just… don’t read very much of it! ), so your review is causing a good deal of conflict in me! I’ve been noticing that a lot of YA fiction of late (or perhaps this has always been the case?) has a strong dystopian bent, which I think is interesting. Does the angst of it all speak to our inner (or outer!) teen? Nice review, I think I’d rather read The Handmaid’s Tale or The Unit since those seem to be mentioned as good dystopian fiction, and I’ve had a craving for that as of late. Eva: I haven’t read We, but I’ll check it out! cbjames: Oh, it’s certainly worth giving a try. The story is compelling enough, just a little muddy. Jenny: I can’t speak to how true it is to the French (since I don’t know French), but the English read well. Not beautiful, but never distracting. Steph: I don’t read much YA either–I like it when I do, but it doesn’t cross my mind. I imagine that since dystpian fiction has a lot of room for melodrama it makes sense for it to show up in YA. Alayne: Handmaid’s Tale and The Unit are far superior to this one. They’re great, but this is only okay, IMO. Thanks for linking me back to this review! I second Eva’s recommendation of We. You’re welcome, Amanda. I have We on my list. It may be years before I get to it, but it’s there!